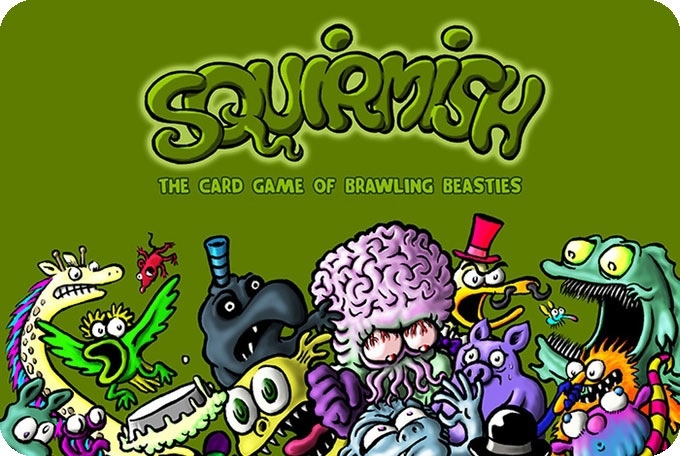 SQUIRMISH™ is the card game of brawling beasties! You’ll need plenty of luck, strategy, and silly scrappers to knock out three of your opponents’ goofy goons. The rules are simple… attack, resolve abilities, place a card or move, and draw a card… but the unique cards provide infinite variety (and hilarity) to the gameplay. 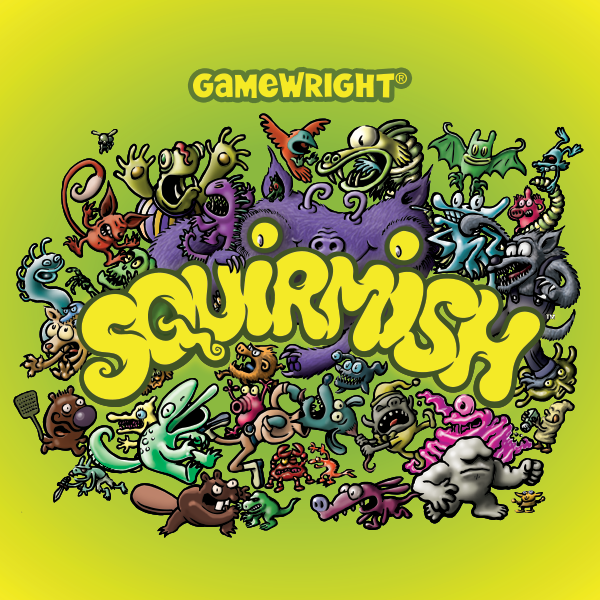 Squirmish includes 70 cards, 4 dice, and 40 googly-eye hit counters. Hi, pal! I’m cartoonist, animator and poppa Steven Stwalley. My comics have been featured in numerous anthologies and gallery shows, as well as in the Hot Ink: Comic Art show at the Minnesota Museum of American Art. I am also a featured cartoonist in the book Superheroes, Strip Artists, and Talking Animals: Minnesota’s Contemporary Cartoonists by Britt Aamodt, published by the Minnesota Historical Society. I often post webcomics (such as Soapy the Chicken and my collaborative comics with Ben Zmith; Monkey’s Paw and Strip Mall), I have created numerous comic books, and I’ve regularly collaborated with other artists to create comics anthologies and jam comics. I’m a founding member of The International Cartoonist Conspiracy. I work at WORLD MONSTER HQ, the most terrifying cartooning studio in Minneapolis. My daughters’ enthusiasm for card games inspired me to create Squirmish.